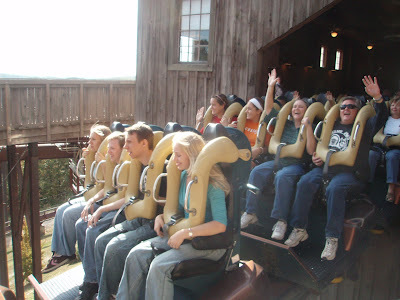 Last Friday, we went to Silver Dollar City. We had a great time! 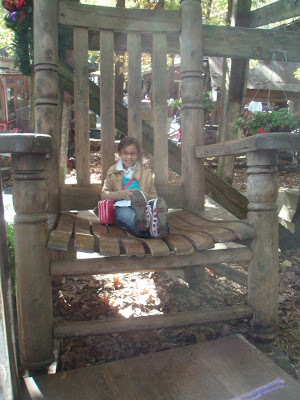 Emily in the big rocking chair. Audrey & Emily: just in time for Halloween. 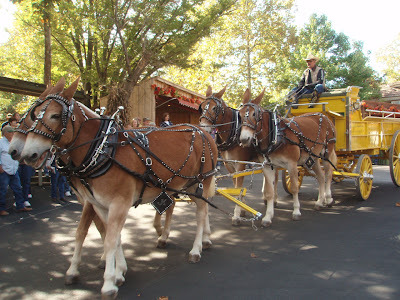 One of the attractions was a mule team. My friend Martin and his wife Linda were there. 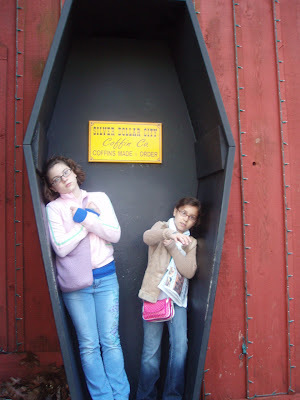 Linda and I were the smart ones. Sally and Martin (waving) were the goobers. Heat in the house tonight! Whose fault is it anyway?? ?